China has urbanized incredibly fast. In 1979, the beginning of China’s economic reforms, only about 18% of the country’s population was urban; that figure was 58% in 2017. The mass migration of rural farmers to towns and cities has been primarily driven by increasing urban job opportunities. To date, scholarship and reporting on Chinese cities has biased the dynamic first-tier megacities – Beijing, Shanghai, Guangzhou, Shenzhen, and Tianjin – even though cities in central China are where most urban growth is now occurring, both in terms of population and infrastructure. Inland cities represent China’s urban future. Wuhan (武汉), the capital of Hubei Province, is a perfect example. In April 2018, we visited Wuhan for three days to document and understand how a central Chinese city pursues urban development. 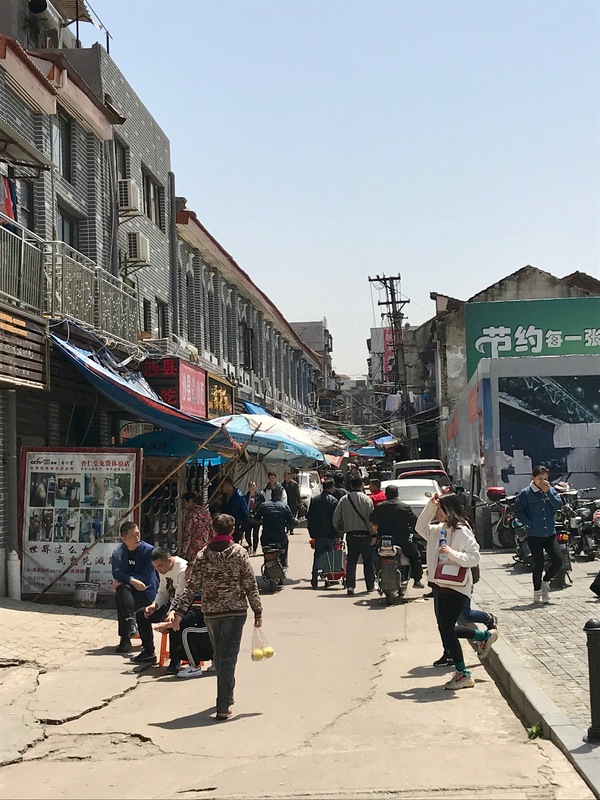 Our research was funded by a grant from Peking University in Beijing and examined two recently re-developed in Wuhan: Han Street (Han Jie; 汉街) and Zhongshan Avenue (Zhongshan Dadao; 中山大道). We wondered: do these two locations fit trends of how Chinese cities pursue capital-intensive projects? What do they reveal or represent about Wuhan’s development strategy? We explored these questions using literature review, semi-structured interviews with experts, site visits, and analysis of financial data from three public Chinese databases. Faculty pointed us to studies of Wuhan’s growth and development patterns, such as Han and Wu (2004); Zeng, He, and Cui (2014); and Ceng and Zhou (2015). We also arranged interviews with local experts in Wuhan. They included professors at Wuhan University and Central China Normal University, as well as planners at the Wuhan Land Use and Urban Spatial Planning Centre and the Wuhan Planning and Design Institute. 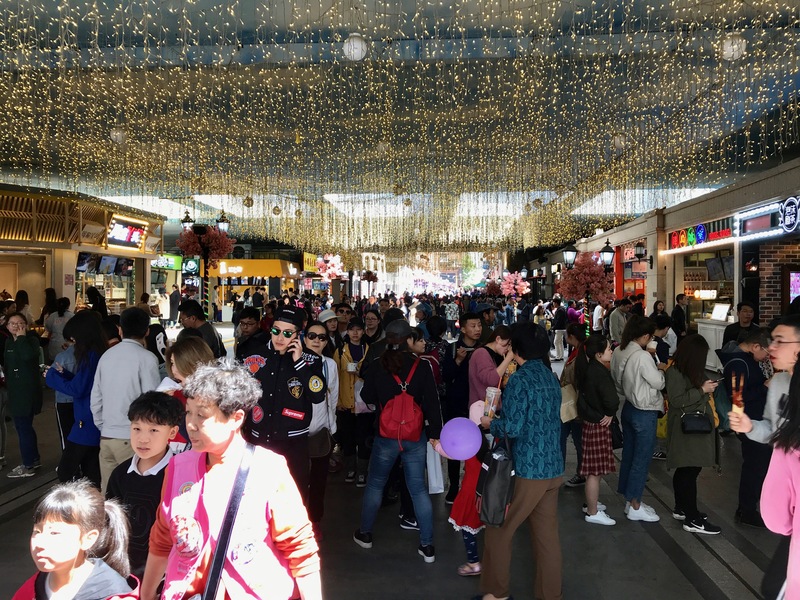 During our trip, we walked the length of Han Street and Zhongshan Avenue, taking photographs and documenting the types of businesses at ground level: restaurants, cafes, banks, jewelry and clothing stores, and more. This personal exposure, plus interviews and data, told us these streets fit a decade-long trend in Wuhan. The city has witnessed big increases in the number building projects (mostly residential housing, followed by commercial, industrial, and office space) as well as total capital invested in real estate development. 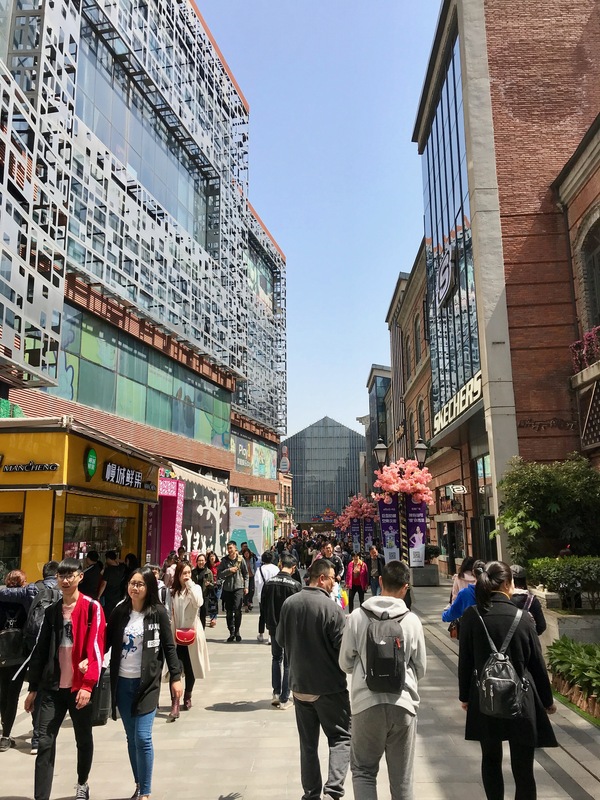 Located along the Chu River in a former industrial centre, Han Street is the longest pedestrian shopping street in China, with more than 200 stores (and lots of high-end international brands). 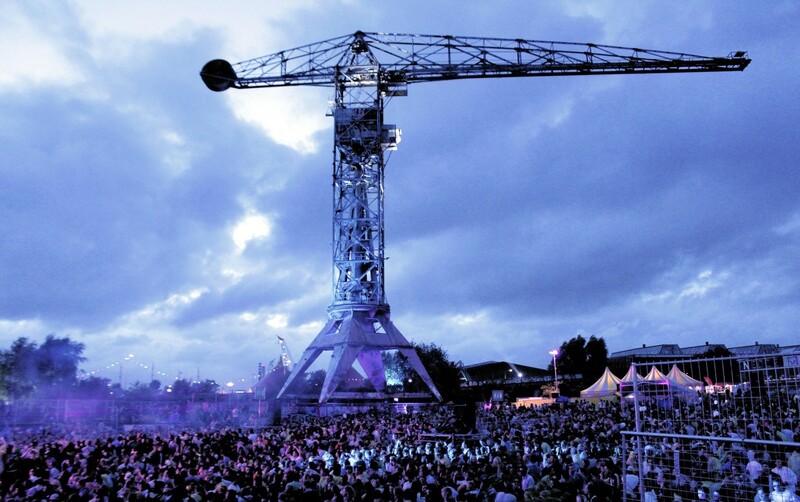 The Wanda Group, a major Chinese developer, bought the land use rights from the Wuhan municipal government in 2009 to construct a world-class cultural district. 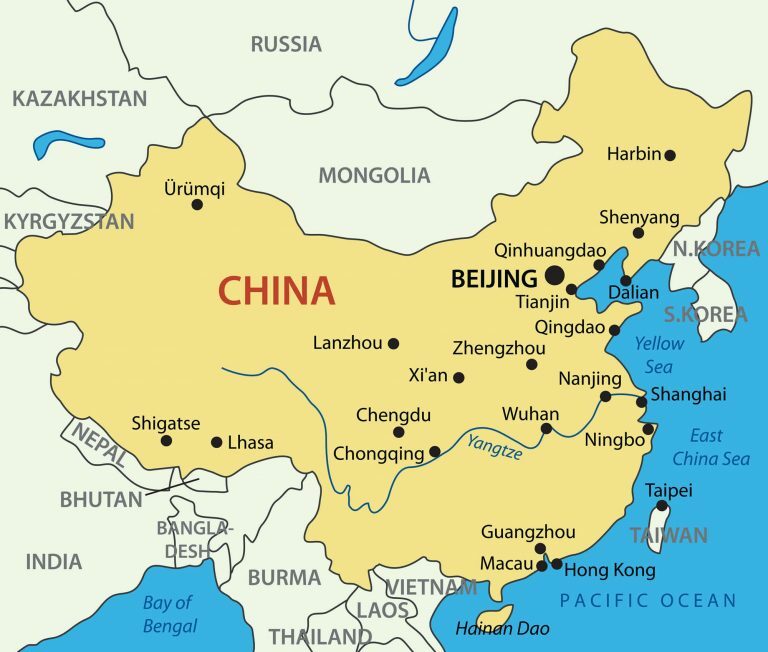 (In China, all land is owned by the state. Since there is no property tax, local governments typically sell the use rights to their land to earn additional revenue). Our interviews revealed Han Street was a “win-win-win” project for Wuhan: the government earned a sizeable one-time profit from the sale of land use rights, the developer got to build a profitable commercial centre with high rents to match the luxury stores, and citizens gained a desirable shopping destination. Zhongshan Avenue is different. The avenue was part of the Russian, French, and German colonial concession areas in Wuhan, giving it a distinctly European architectural style. 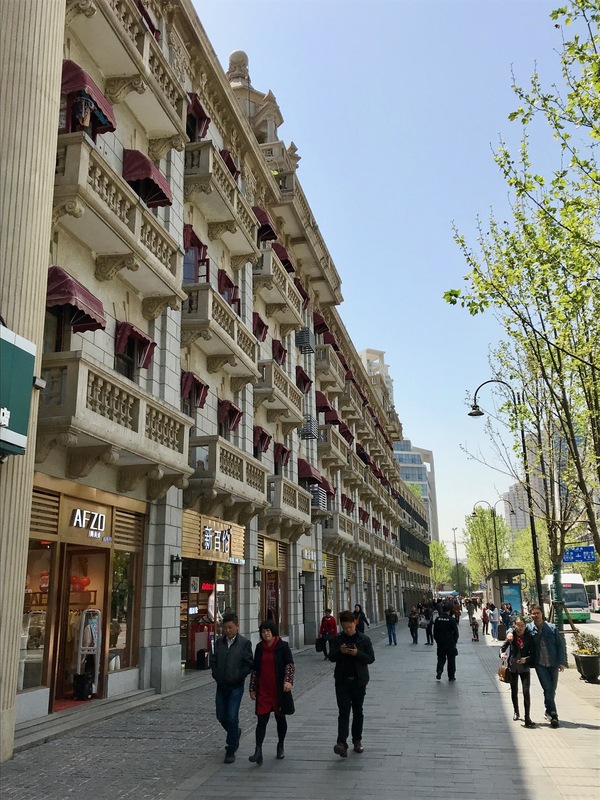 Unfortunately, the European facades were poorly maintained throughout the twentieth century and the avenue became an unremarkable urban corridor, even though it housed local offices for major Chinese banks. In 2014, the Wuhan government redeveloped this traditional finance centre into a modern, attractive, mixed-use avenue by renovating facades, widening streets, designing green spaces, building shopping malls, and even adding a subway line that follows the entire avenue underground. This entire development effort was extremely expensive. Wuhan’s municipal budget could not actually support the construction costs. To earn extra-budgetary revenue, the government sold the use rights of several parcels of suburban land to the Wuhan Real Estate Group, a state-owned enterprise (SOE). According to interviewees, officials must have deemed the project as worth the price; they probably envisioned a famous cultural centre to compete with other second-tier Chinese cities. 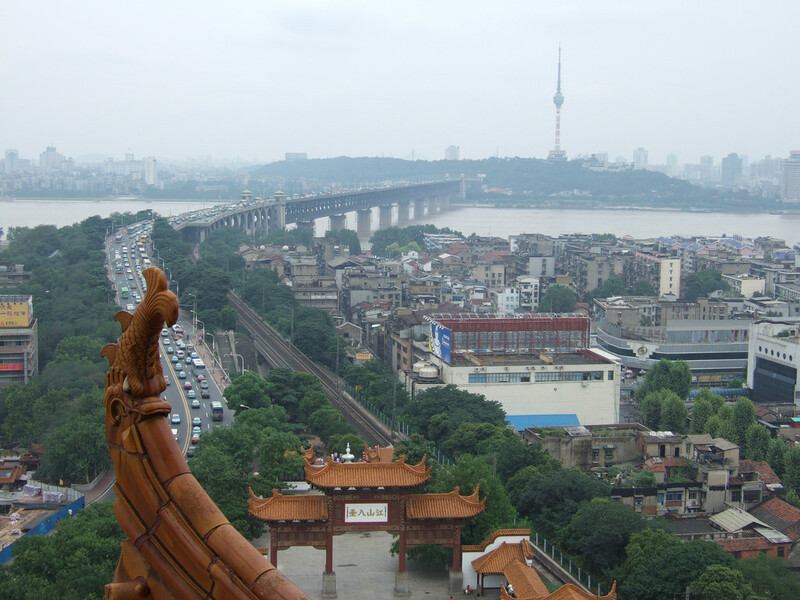 As a public sector-led “prestige project,” Zhongshan Avenue has somewhat elevated Wuhan’s regional (and national) reputation, attracted tourists, and increased economic activity in a lagging yet historically important area. 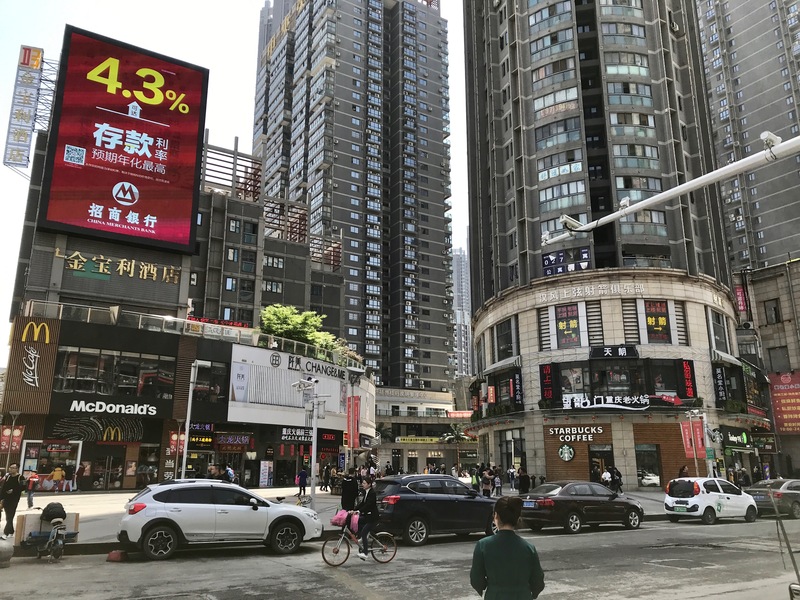 Together, Han Street and Zhongshan Avenue reveal how Chinese cities often pursue capital-intensive, commercial real estate development for multiple, complementary purposes. While the purpose of a specific project in China can be hard to discern thanks to non-transparency in public documents and data, a successful project can boost local government revenue via sale of land use rights, permanently raise the value of city land, increase consumer spending and municipal GDP, attract investment, and distinguish a city from competitors. Purpose aside, experts stated Han Street and Zhongshan Avenue were “totally different projects” in terms of execution. The former was market-oriented whereas the latter was state-oriented. They both illustrate how there is no one-size-fits-all story for individual streets, neighbourhoods, or districts in Chinese cities. First, financing matters. Urban development can be costly due to construction, labor, and large-scale transformation of the built environment. 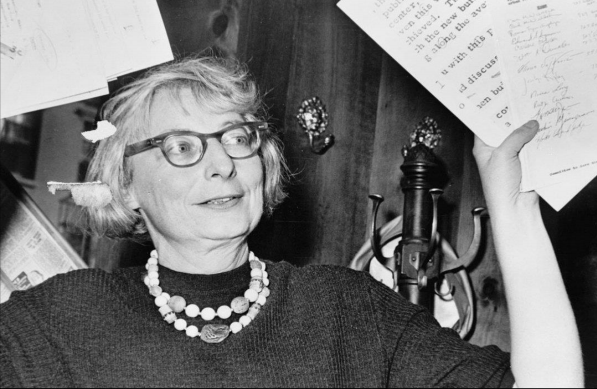 Therefore, a city’s sale of land use rights becomes a key funding mechanism. This is an interesting Chinese characteristic not seen in most other countries. Taxes on luxury goods in China also offer cities an additional revenue stream, so governments may prioritize commercial developments that promise high-end stores. Third, big private developers like the Wanda Group possess the cash and resources many cities lack. Sometimes a public-private partnership (PPP) between a local government and company like Wanda is a necessary alternative to selling land use rights. Finally, urban development can benefit all stakeholders – government, developers, and residents – when executed on time, on budget, and with good urban planning. This may seem like an obvious point, but plenty of projects in China have received pushback, including Han Street and Zhongshan Avenue. One interviewee mentioned how “local people have protested both developments every day.” The renovations that occurred along both streets could have created apartments with unaffordable rents while demolishing the older housing of local residents. Not every project pays off, either. 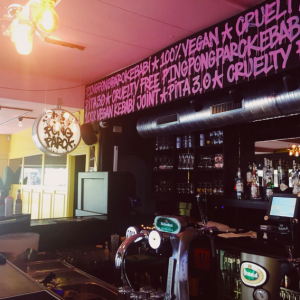 Han Street may be viewed as an overall success, but Zhongshan Avenue has not yet justified its costs. In the future, projects financed by local governments may come under scrutiny as Beijing cracks down on unsustainable spending. Ongoing deleveraging reforms may in particular restrict the sale of land to finance urban development projects like Zhongshan Avenue. As local governments across China fall deeper into debt, the central government aims to reduce dependence on land sale by increasing the availability of budgetary transfers and bonds. For now, the potential rewards of high-end developments will ensure their expansion throughout central China. Carl Hooks and Allison Sherlock are American master’s students at the Yenching Academy of Peking University. Carl graduated from Washington University in St. Louis and studied in Dalian and Beijing while in college. Allison is a recent graduate of Northwestern University, where she began her research on China’s urban development.